Andrew N. Bausch, M.D. 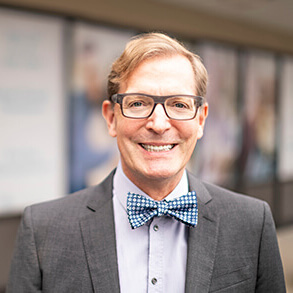 is a board-certified ophthalmologist with over 30 years experience in modern cataract surgery and 25 years in refractive surgery. He adopted sutureless small incision cataract surgery in 1990, premium intraocular lenses in 2005, and laser-assisted cataract surgery in 2013. Dr. Bausch has also performed Radial Keratotomy (RK) since 1990, Photorefractive Keratectomy (PRK) since 1996, and LASIK since 1998. Dr. Bausch received his bachelor’s degree in chemistry from Muhlenberg College and his medical degree from the University of Pennsylvania. After his internship at St. Mary’s Hospital and Medical Center in San Francisco, Dr. Bausch completed an ophthalmology residency at The Scheie Eye Institute of the University of Pennsylvania in Philadelphia.